Congratulations Square-Enix on the release of Final Fantasy XIII. You've came a long way and have had many collaborations in the past! Because you have liberated RPG players! You may be wondering? Liberatred RPG players? Well upon the epic release of FFXIII random people, people who you never thought touched an RPG before are posting on facebook about the greatness of the game and people who you thought were gymrats with a penchance for laying his next fine female are rushing out to your local gamestop and picking up FFXIII. They are even picking up the epic game before some of our most seasoned RPG vangaurds. Even so many of us seasoned RPG vangaurds won't come out and share the air with these wannabes and closet entities that have suprised us with their love of the epic game series. We will pick up FFXIII. However we will have already played Persona, Breath of Fire, Dragon Warrior, Chrono Cross, Wild Arms series, Arc The Lad, numerous online mmorpgs, all of the previous final fantasies, Crisis Core and all of the spinoffs, Grandia, Suikoden, etc, etc, etc. 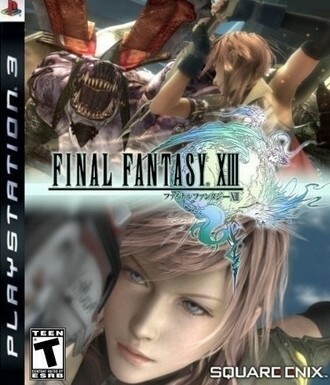 This release and our eventual winning of FFXIII is for US!! This is really a well laid out website. I like how you have presented the information in full detail.watch out and play mmorpgs online games here in the philippines. this games is for free just visit the site and have fun to play.